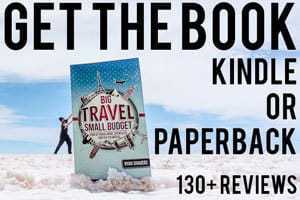 Sales of my book Big Travel, Small Budget have remained about $100 per month in total between print and Kindle editions. But surprisingly (at least for me) is that paperback copies have been regularly outselling the Kindle editions. It’s about a 40/60 split. I kind of assumed that releasing a Kindle book would mean the majority of sales would be digital. But I guess that just goes to show that many people still don’t use digital readers and that paperback copies are absolutely important if you’re releasing a book. It also makes me want to reconsider doing an audiobook version. Many other authors have mentioned that their audiobook sales through Audible outsell their other versions. It’s a fairly expensive proposition however, and would take quite a few months to recoup my investment. In good news though, I finally eclipsed 100 reviews for my book on Amazon! I’m tremendously grateful for all your help and support. Since then my income took a drastic hit from that source. It all appears to be tied to my semi-popular article about How to Make Coffee While Camping using the Aeropress. I was once getting 100+ visits per day to that article… Up until *drum roll* August/September. Thus the perils of having an income tied to Google algorithms. Overall visits to the site has been on the upswing since my redesign a few months ago. And is now hovering around 35,000 page views per month. That means there are more than 1,000 views per day of my content… A pretty respectable number! With increased traffic and visibility, that (sometimes) leads to increased interest from brands or other businesses in working with you. I’ve seen an increase in emails with proposals to work together, which are sometimes fun to entertain. I enjoyed working with BioLite to help spread word about their SolarPanel 5+, which is a pretty sweet and portable panel. Having the opportunity to check out new gear, share my opinion, etc, is always something I enjoy. I’ve also been in conversation with a few different people about some sponsorship or paid advertising, which I’m considering. Progress on my upcoming book projects has been going well. I’ve continued writing on a regular basis, adding to the existing content… The tough part is going back through to edit, organize, restructure, etc. 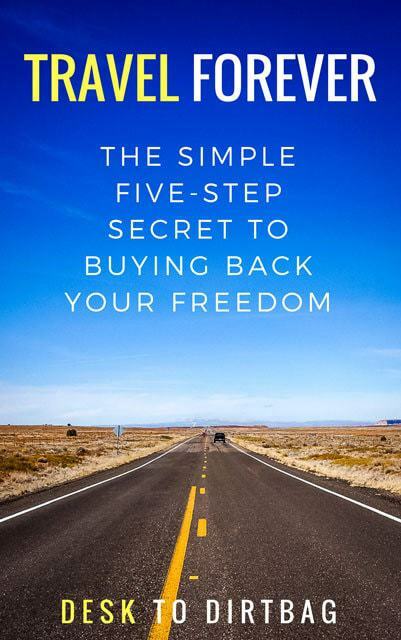 I’m super excited about this upcoming book… Check out the announcement if you missed it (and sign up in advance to get it free). 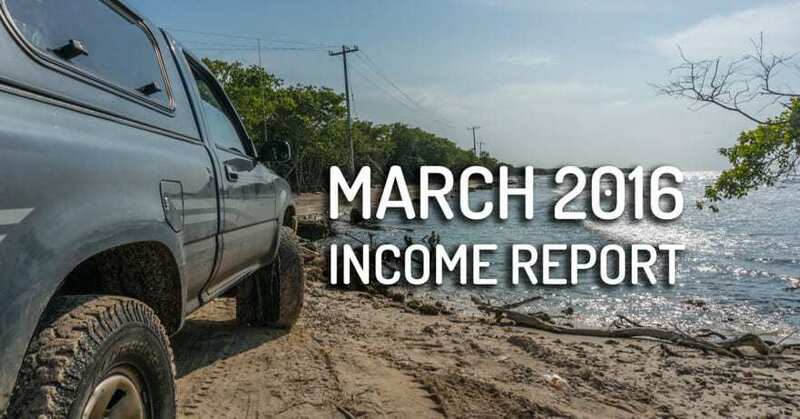 A small bump up in income compared to February, but nothing too shocking. 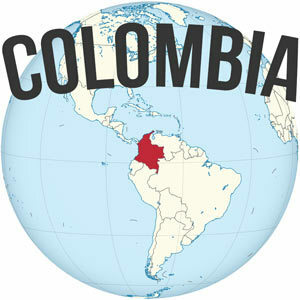 The good thing is the Colombian Peso is particularly cheap, so $327 equals 1.000.000 pesos. Enough to pay the rent here, at least! We are no longer looking after those four adorable puppies… We’ve got an empty house! Thankfully Andrea’s sister adopted one of them, so we still have visitation rights with Cooper every once in a while. He’s getting so big. Crazy that we first had them at three weeks old when they had no teeth and their eyes were barely open. I just had to renew my temporary import permit for the truck for another three months. It’s not guaranteed they will say ‘yes’ but thankfully they did. Always good to avoid unnecessary fines! My guitar playing skills have been steadily progressing. I’m continuing to use the guitar tools that I talked about here previously, but I also decided to take private guitar lessons for one hour each week here in Medellin. It’s nice because the teacher comes straight to my place and great to have feedback from an experienced teacher and player. If anyone is ever looking for a private guitar teacher in Medellin, let me know! I have also managed to religiously stick with my goal of running every other day and have bumped my mileage up to more than 9 kilometers. I should be ready for the Corre Mi Tierra 10k in a few weeks, provided I avoid injury! Here’s my tips on how to start running. In my quest to better my self-discipline, I’ve continued with the 30-day cold shower challenge and am now on 22 straight days. I still think cold showers are a great way to start your day. Give the challenge a try and see for yourself. Hey Ryan, how much do you make on each “Go Outside” shirt? $4.20… So yeah, not selling too many each month. Hah! Are there any specific posts that are generating more visitors than others? I ask because your post reminded me of SPI monthly report and you mentioned the upswing in the traffic. I was wondering if they were coming to new or old posts? Hey Mark! 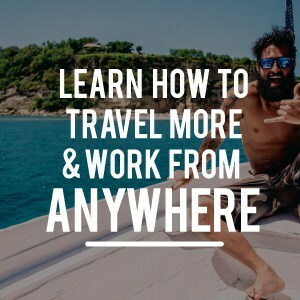 I was definitely inspired to do these posts thanks to SPI… Primarily old posts are the biggest draws of traffic, for sure. Though the addition of new posts helps to rise the tide so to speak. Then of course there are other posts that were once very popular but have subsided a bit. Kind of a mixed bag. Any tips or insights based on whether they are new or old posts? Hey Ryan….one reason why your Amazon affiliate sales may be down could be due to the Aeropress Coffee and Espresso Maker being “Currently Unavailable”. The item has been sitting on my Amazon wishlist for awhile as it’s been unavailable for quite some time. Hey Jay, sometimes they go out of stock from a specific carrier or specific package, but are available from others or with different things (filters, tote bag, etc). It happens with a lot of different things. I still see it available in general from Amazon.com (not sure about other countries). Cheers!